What mistake would you fix if given the chance? What regret would you try to undo? Would you win the heart of the one that got away? Could you steal the spotlight at that critical social moment while bar hopping? Would you feed that bully from your childhood a knuckle-sandwich? 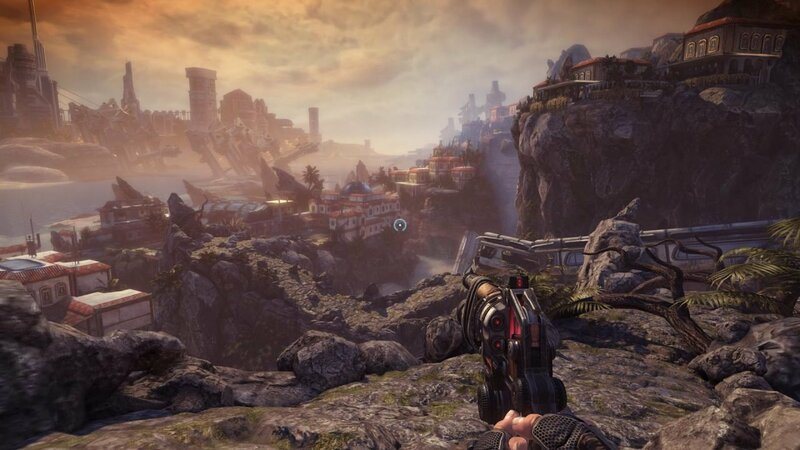 People Can Fly, the Polish studio behind Painkiller and Gears of War Judgment, would probably try to make Bulletstorm (the first-person shooter they made with Epic Games) a financial success. 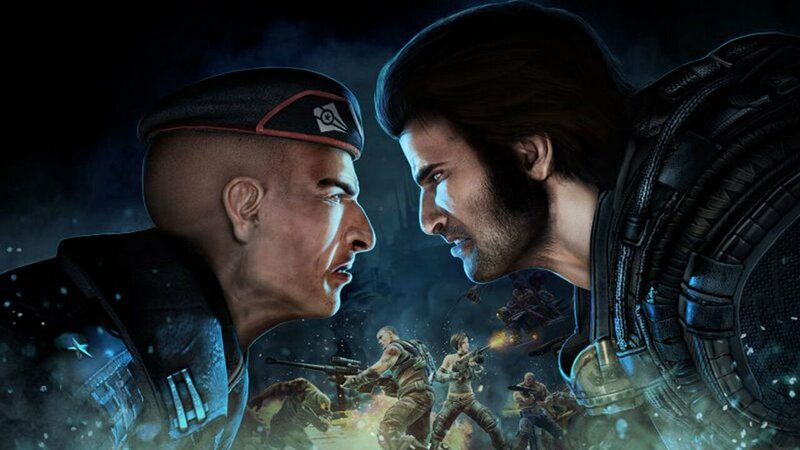 Bulletstorm was originally released in February, 2011 as a counter-culture first-person shooter (FPS) on the PC, Xbox 360, and the PlayStation 3. The game followed the revenge plot of a drunken space pirate, named Grayson Hunt, who tried to fix his mistakes with jokes and boozes. A future version of Captain Jack Sparrow is not a perfect comparison but it gets you in the ballpark. Political correctness and polite manners will never be associated with the game, and the phrase kill with skill dominated most of the original marketing material. 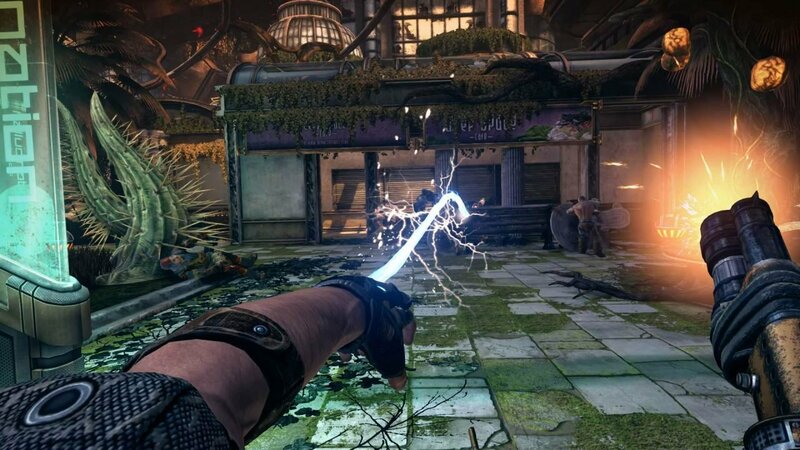 In 2011, Bulletstorm was well regarded by critics because of a surprisingly large amount of creativity and freedom for a corridor shooter; however, by July, 2011 Epic Games wrote off Bulletstorm as a financial failure not worth pursuing further. They cited poor sales of roughly one million copies as the measurement of failure and cancelled the planned sequel. Fast forward to present day, and we find that this news didn’t keep Gearbox Studios (Borderlands, Duke Nukem Forever) from spending the last few years polishing up a port of Bulletstorm that they’re calling the Full Clip Edition. As a passive observer, polishing up this old FPS seems like an odd choice for Gearbox to make; however, it has resulted in an amazing situation. For a five-dollar fee, you can play the entire campaign as Duke Nukem, and somehow, it’s strangely compelling. When you think about the core game-play elements of Duke Nukem it is all about moving quickly around a map, high kicking people with your jackboots, massive set pieces with giant monsters, and sexually harassing women. As luck would have it, those are also the core gameplay elements of the original Bulletstorm. 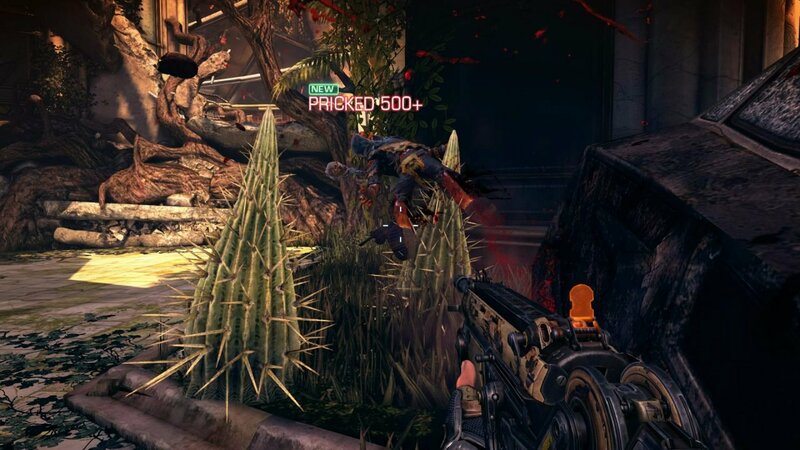 Thus, the peg that is Duke Nukem slides right into Bulletstorm’s square shaped hole with surprising ease. The only ripple that keeps Bulletstorm: Full Clip Edition from being a game of the year contender (and take a second to ponder how ridiculous that seems) is the fact that Duke’s conversations fail to match up with what everyone is saying. This is the result of Gearbox bringing in Jon St.John, who has voiced Duke Nukem for decades now, to record a whole script of new lines for this game. The problem is that no one else received a call-back; instead, all the old lines from the campaign were recycled and every character keeps using a variation of Grayson Hunt when talking to Duke. Grayson is the game’s original protagonist and hearing his name while seeing Duke’s face is distracting during every cut-scene. The good news is no one plays Bulletstorm (original or the Full Clip Edition) for the cinematics. The cutscenes are full of racist, sexist, childish bravado that caused me think of 2011 as a far more innocent time when such concepts could be used jokingly. Today’s culture is not as understanding if spoken about in general terms, so certain moments might rub you the wrong way. I’m sure I could find a few 16-year old’s that consider Bulletstorm: Full Clip Edition to be worthy of a Nobel Prize in Literature, but anyone who remembers the original launch of Bulletstorm will probably find that dialogue a little childish. That only leaves the moment to moment gameplay to carry this product, and luckily game-play carries Bulletstorm in the same way that The Legend of Zelda: Breath of the Wild is current carrying the Nintendo Switch. Bulletstorm: Full Clip Edition is almost an infinite possibility engine totally dedicated to killing people in impressive ways. You can kick NPCs off ledges, kick NPCs into sharp objects, kick NPCs into electricity, kick NPCs into water and assuming they can’t swim, deploy gas that causes NPCs to kick each other, trigger chain reactions that kick NPCs into the air with an explosive force, or do something boring like shoot your gun. It might not seem very interesting on paper, but in practice, there are so many ways to eliminate NPCs that I was still discovering new methods of dismembering them in the final chapter. I know this makes me sound like a serial killer but the experimentation is surprisingly compelling. You may even feel rewarded for your willingness to think outside the box. If not the giant set pieces throughout the game are a heck of an award for progression. To be honest, there were only two times when I felt like the gameplay let me down. The first time, I was in a single room where the game took away my ability to shoot because of some lame excuse about exploding gas. It’s true that the room in question contained a unique killing method that would have been missed by most players who could have used a gun, but Bulletstorm’s whole concept is being creative with mass murder, so why tie my hands when I’ve already missed a bunch of cool skill-kills in the normal course of gameplay? My way may not have been as flashy, but it would have been my way. The other time was when I finished the game and realized the campaign was roughly seven hours long. That brings us to the $80 question, do I suggest The Full Clip Edition presented by Duke Nukem? The Full Clip Edition includes updated graphics that are equivalent to contemporary games, a game-plus mode that gives you access to all the weapons as soon as you can start it, six new (and a bunch of recycled) time trials that are called “Echoes” in the game’s parlance, online multiplayer, and the seven hour campaign. If you find the campaign short, the “Echo” trials boring, and the multiplayer underutilized; then this Full Clip Edition might be a poor way to spend $80. The chance at least exists for this to be a poor choice, and we still don’t know the size of the Bulletstorm’s online community. Still, I would suggest waiting a week or two after the launch to see where the chips fall. On the other hand, if a short and sweet FPS campaign full of impressive moments is all you want, then I see no reason to wait; although, Duke Nukem will still cost you extra in both cases. Duke Nukem is a surprisingly snug fit in a game he wasn’t intended for.